eLOCK360 helps you monitor your district usernames, passwords and network access points 24/7/365 to identify when hackers have bought or sold them on the Internet's black market, the Dark Web. 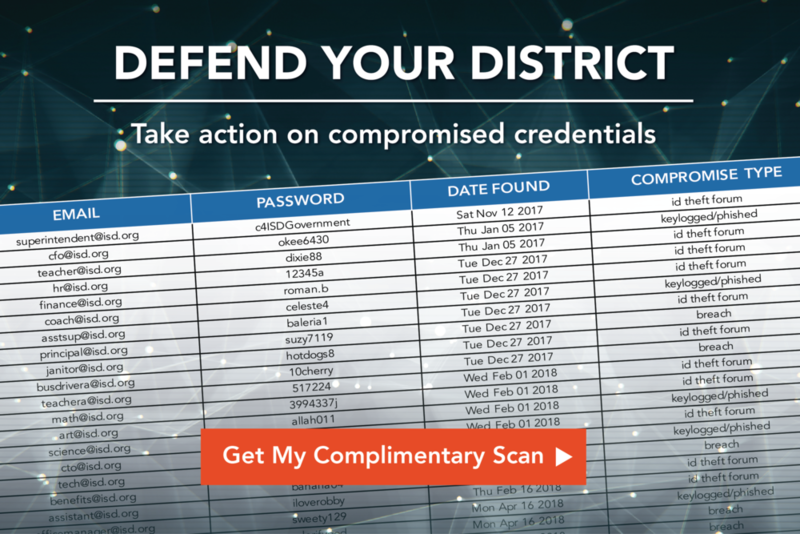 If your district's monitored information is detected, this could be an early warning sign of a pending threat or indicate a possible data breach. You are alerted when any of your district's monitored elements are found online, so that you may take precautions to further protect your district and employees.